I first saw this adorable idea of "Love Buns and Pink Hot Chocolate" over at Life Is A Party--Dannyelle turned cinnamon rolls into darling "love buns" and then used her lovely heart-shaped tea cups to hold her pink hot chocolate. 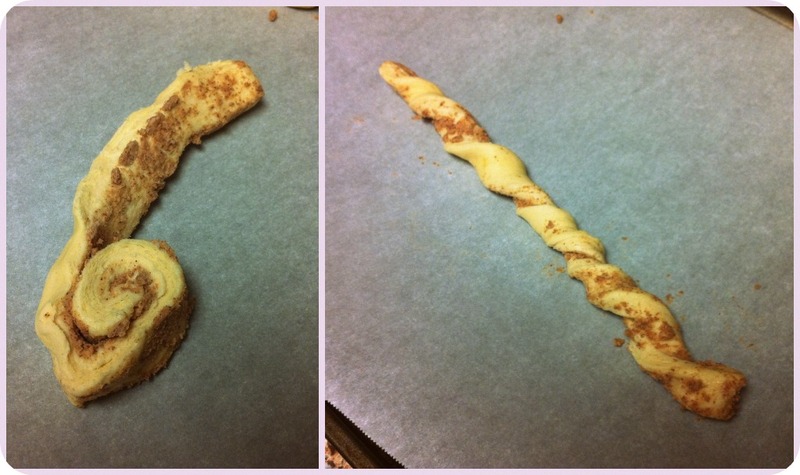 I fell in love with the idea and tried it out with a little twist...instead of making cinnamon rolls I did cinnamon twists...let me show you how! STEP 1: Unroll the buns and twist the long pieces of dough. STEP 2: Take two twisted pieces of dough...shape into a heart...and pinch the 2 spots where the dough meets. Four will fit onto a regular sized baking sheet. STEP 3: Bake at 350 degrees F for about 9 minutes. The directions on the cinnamon twists say 11-13 minutes, but I did 11 minutes once and they were over-baked. STEP 4: Take them out of the oven and let cool for a couple minutes, then pipe the frosting that was in the Pillsbury tube (I put the frosting into a small ziplock bag and snipped off the end) onto the cinnamon twists. 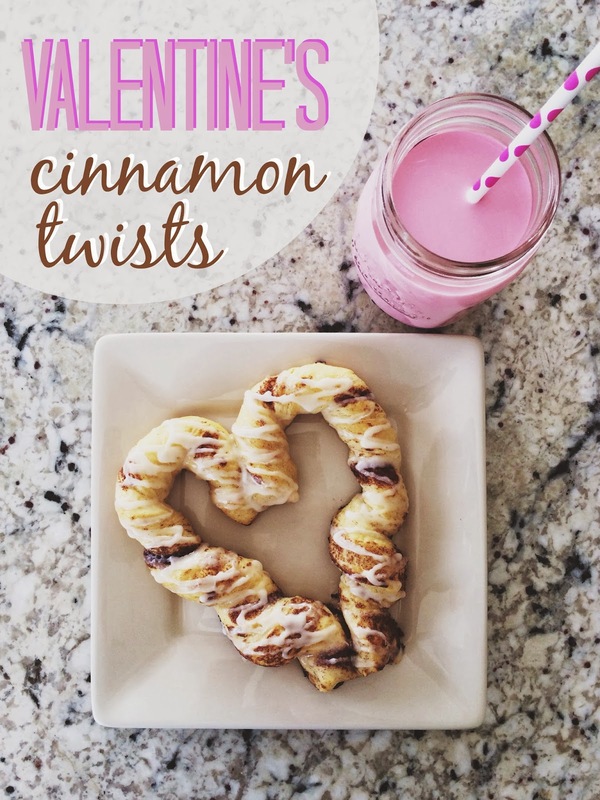 Enjoy your Valentine's Cinnamon Twist with a glass of milk or cup of white hot chocolate, turned pink (with a couple drops of red food coloring) of course! Perfect for Valentine's brunch, dessert at a party, or a late-night sweet treat! love your top 'o head bun. and i think you are one of the prettiest people. ever. in a non "single white female" way..
We can't wait! :) YOU ARE ADORABLE!!!! We love you so much! THIS IS SO CUTE! Just like everything about you and your family! I definitely want to try this :) and "ITS SO FLUFFFFFYY!!" Favorite.part.ever! O M G -- adorable, tasty & looks pretty easy * thanx for sharin'! Okay that is such an adorable idea! :) sooo cute! how are we not blogger friends??? this has to end now. 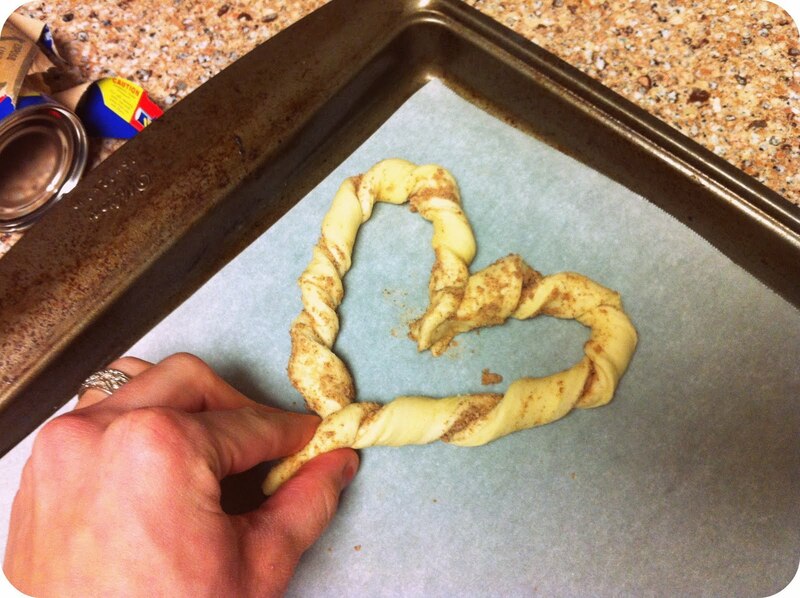 definitely going to make those heart cinnamon treats. so glad you watched despicable me! looooved that movie! are the little girls not the cutest thing you've ever seen? Glad you liked the idea, and thanks so much for linking back to me. I love how you used the twists, they look more like hearts than mine did ;) Hope you guys have a great tea party! Hay, that is the cutest idea. I wish I was there to enjoy the cute tea party you are going to have. I am so lucky to have you as a sister in law. I am totally going to do this for my roommates on valentines day. Since we are all single, we need a little lovin. Thanks for the idea. I love and miss you so much!! I am SO stealing it!!!!!! Wow. That is one of the cutest ideas I've ever seen!!! My husband is going to love this. I am totally following you simply because this is so amazing...and I haven't eve read your other posts yet! I feel like a kid in a candy store! These look so delicious! I am so going to have to try it because I love how they look! Luci & I will totally be making those for daddy on valentines day. YES please on those valentines treats!!! such a cute blog!!! So amazing!! I love it! Also, another great kiss pic to add to your collection! I love it! o0o0o0o0o DEF remembering this for Vday! Thanks for the tip! Also, isn't despicable me surprisingly sweet and hilarious?! these are LOVELY - i am so making sean these on valentines day.. so so so so cute!! 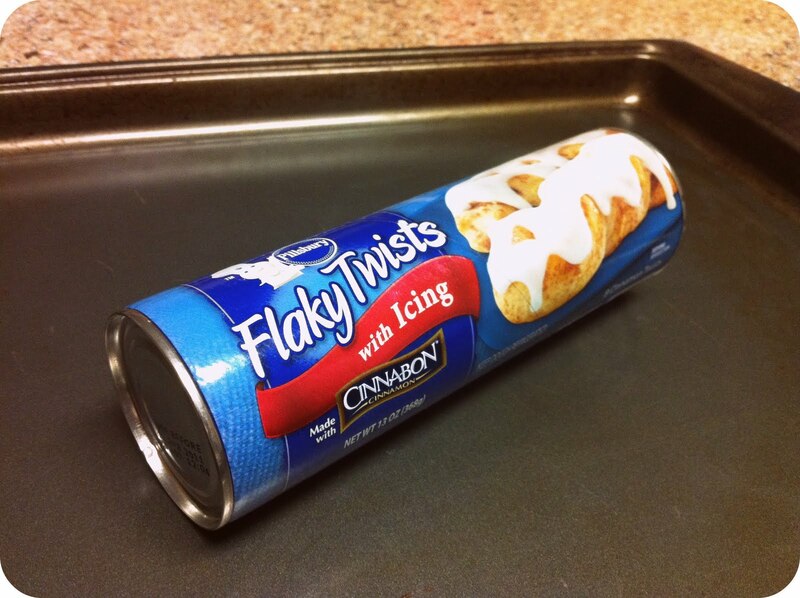 that is such a great idea with the cinnamon rolls - never would have thought of that myself. My fave things (cinnamon, icing) shaped into cute hearts! I am SO trying this! Thanks! I am following! Can't wait to see whta else you ahve here! Freak Out & Drop Dead.